Product categories of Industry Dust Collector, we are specialized manufacturers from China, Industry Dust Collector, Industrial Cyclone Dust Collector suppliers/factory, wholesale high-quality products of Industrial Dust Collector Machine R & D and manufacturing, we have the perfect after-sales service and technical support. Look forward to your cooperation! Chinese manufacturer Heng Rui - professional production Industrial Dust Collector equipment and accessories manufacturers, our company specializes in the production of all kinds of pulse bag dust remover, boiler dust remover, cyclone dust remover, desulphurizer, Wet Dust Collector and other dust removal equipment and accessories, the company has strong technical force, strict quality management and quality The after-sales service has won the praise from the customers at home and abroad, and is committed to serving every customer in the spirit of "creating fine products and climbing the peak forever". 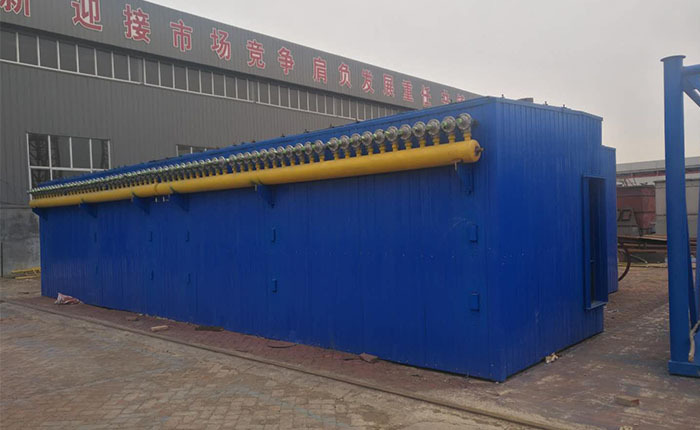 Our company can design and produce various industrial dust collectors according to various industries, and tailor the exclusive dust removal system to the industry according to the needs of users. The dust removal equipment produced by our company is widely used in all walks of life, such as mines, chemical fertilizer plants, furniture factories, sand and stone plants, chemical plants, cement plants, etc., and welcome new and old users to call for consultation.